I Love Bruno! 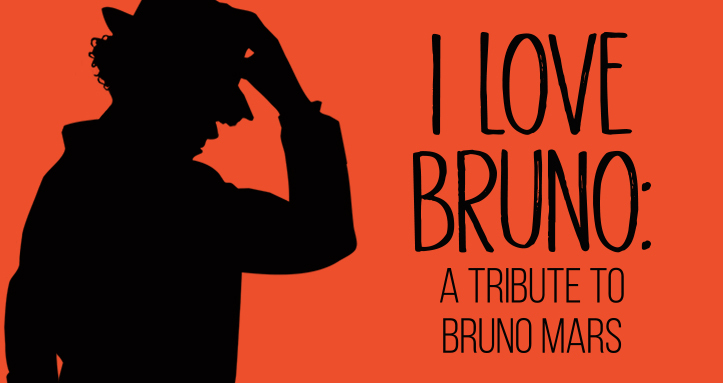 A tribute to Bruno Mars is non-stop dancing and singing to the international super star Bruno Mars amazing play list. Mars broke out as a singer in his own right with the 2010 hit “Nothin on You.” Other popular songs that will be included in this tribute show to Mars are Locked out of Heaven, Treasure, Chunky, Finesse and Grammy-winning tracks Uptown Funk , 24k and That’s What I like and much more. I Love Bruno tribute musicians sound and feel of the original Hooligans group. All seven band members are from Str8up band and have been together for over 20 years. These veteran musicians love what they do and have developed an amazing on-stage chemistry. They pride themselves on giving their audience an incredible high-energy, qualitative stage show from start to finish. Dressed in the iconic Hooligans jersey, lead vocalist, Carlos Coriano, has an amazing singing voice flawlessly matching Bruno Mar’s vocal range and on-stage Bruno choreography. I Love Bruno tribute band strives to capture the essence of what is Bruno’s funk & R&B stylings with incredible dance moves. I Love Bruno plays all the hit songs that everyone knows and loves. They perform for 90 minutes straight without taking a break to give their audience the true concert experience. Their performance is professional and highly engaging for their audience. Everything heard during their performance is live with no pre-recorded tracks used.